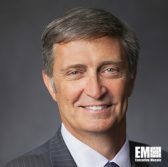 Mark Gray, president and CEO of ASRC Federal and a 2018 Wash100 recipient, has said the company seeks to help NASA address science and engineering challenges with advanced computing technology. The company said Monday its InuTeq subsidiary received a potential 10-year, $1.2 billion contract to assist the space agency in efforts to analyze and visualize data, perform simulation and modeling activities, manage networks and test emerging computing platforms. InuTeq will provide the support services to the agency’s advanced supercomputing division at the Ames Research Center in California and climate simulation center at the Goddard Space Flight Center in Maryland. The contract contains a one-year base period of performance and nine one-year options.